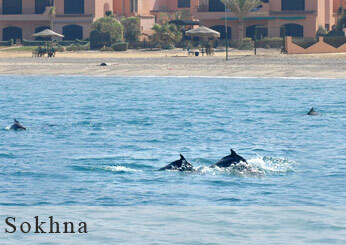 El Ain El Sokhna, is both a summer and winter destination resort. It is a natural lime spring with an average temperature of 25 degrees Celsius throughout the year. Situated at the base of Ataka Mountains it is close to the Gulf of Suez and a short drive from Suez City. Its beach is distinguished by clean sand and crystal clear waters. Your drive to a leading resort will last approximately half an hour. The resort is situated on the beach where you will have the opportunity to relax, swim and sunbathe in tranquil surroundings. Umbrellas, sun beds and changing room facilities as well as a refreshment are included in your tour. Late afternoon, relaxed and invigorated, you return to the port. The tour may also be offered as a full day with an international buffet lunch served at the resort. Swimsuit and sunblock for swimming. Beach towels are supplied by the hotel. No water sports are available at the resort.